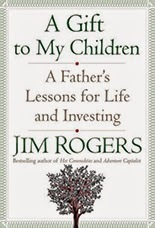 Finished reading a book this month by Jim Rogers, titled “A Gift to My Children - A Father’s Lessons for Life and Investing.” The book was actually recommended to me by another fellow blogger. Passive Income Builder. I admire Jim Rogers' love for his daughters; his passion in life (and investments); his travels around the world to learn what people and countries were doing and to see how well they are doing it. Jim Rogers (borned 1942) co-founded the Quantum Fund in 1973 with George Soros before he turned 30. The fund gained 4200% over ten years. Rogers spent his time traveling around the world several times. The first was in 1980 after he retired at 37. The second trip was from 1990-92 where he travelled through China, and the rest of the world on motorcycle over 160k km across six continents. This feat was picked up in Guinness Book of World Records. Source: www.jimrogers.com – Picture taken in China in 1999. 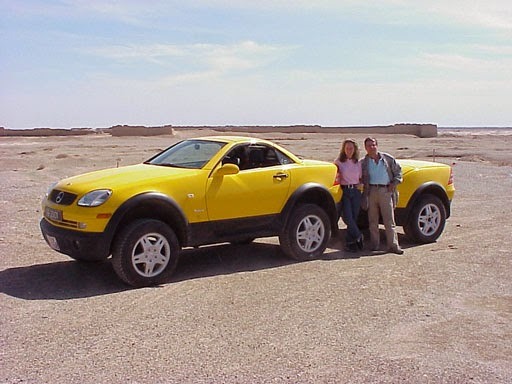 Jim’s third trip was the longest and with his wife Paige Parker. The trip spanned 3 years and started in 1999 at Iceland before ending at New York in Jan 2002. It was yet again another Guinness World Record journey through 116 countries, covering 245k km, in their custom-made Mercedes. Jim Roger is the author of A Bull in China, Hot commodities, Adventure Capitalists, and Investment Biker. He recently moved to Singapore with his wife and daughters who were born in 2003 and 2008. The book is rather short, comprising of 13 chapters and an Epilogue within less than 100 pages. There are so many excellent lessons in the book. I summarized by chapters various points that left a deep impression to me as follows. Be who you are, be original and be bold. Above all be ethical. Age is irrelevant when you are passionate about a goal. Be a self-starter and save. Paying attention to details is what separates success from failure! – Example of General Motor vs Toyota in the 1960s. GM was already very successful but they were overconfident and pay very little attention to the Japanese car makers. "I learned in life that being greedy nearly always causes problems. An old Wall Street adage says: bulls makes money; bears make money. Pigs go broke." Most perceived wisdom is a misconception. "For e.g. in the 70s, oil price is $3 a barrel and most believed price will remain low because of new technologies and major oil discoveries. Careful research shows that oil supply impossible to meet world demand and oil price is destined to rise." We should read newspaper everyday but approach with a sense of skepticism. Always do your own research! 5) Your Education, Part 1: Let the world be a part of your perspective. Do not rely on books; go and see the world! Jim Rogers also urge her daughters to leave country for few years then can always return with a new understanding. The significance of BRICs – Brazil, Russia, India and China. 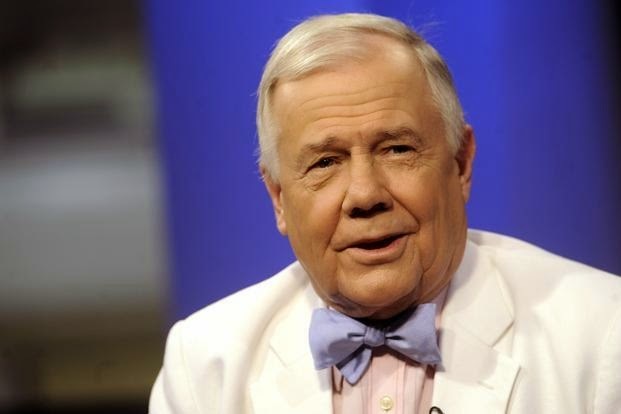 Jim Rogers is bullish on China and Brazil and bearish about Russia and skeptical about India. Brazil – improve significantly over next 15 years. The country will increase commodities production such as sugar and iron ore. Sugar is a raw material for ethanol which is considered to the alternative for crude oil. Russia – abundant in natural resources but poor fundamentals. A country plagued by bombings and assassinations. Putins control Moscow and St Petersburg only, Mafia exerts stranglehold elsewhere. USSR split into 15 countries with 124 ethnic, linguistic and religious groups in the land. India - stifled bureaucracy, lack of infrastructure compare to China. National highway of India is two-lane road built decades ago and now full of potholes, not to mention traffic, wagons, animals, pedestrians, drying vegetables, carts, breakdowns and everything else under the sun. China - destined to be the world’s leading economies by year 2050. Be a World Citizen. Be open to people who are different, whether at home or abroad. "If everyone saw himself as a citizen of the world rather than of his town, city, or country, the world would be a more peaceful, better place where success in all forms is abundant and available to all. That is not to say that we can't be patriotic and love our country. But we must always be open to those who are different, because people from different backgrounds have much to teach us, vice versa. Philosophy will teach you how to think for yourself. Price Commodities and stock are inversely related. For instance Kellogg is the largest cereal company in world. Therefore if commodities price increase, cost of the company will increase. In the short term, the company cannot immediately pass the high cost to consumer and their profits will drop! Do not ignore the bear market and find opportunity! Stay tune to Part 2 ….